Knock Knock - What Is Really Happening Behind Closed Doors? Every day in the news we hear more stories of some type of abuse. It is like once you turn on the TV you are expecting to hear another horror story to come to light. Child abuse stories continue to come out of the wood works, and these innocent victims have lived in a silent world of dysfunction, on a daily basis in the plain eye of neighbors, caregivers, family, friends and educators. I just heard a story on the news two weeks ago about a little girl 8 months old dead at the hands of her own father! Can you imagine what this innocent child endured in the last moments of her young life. Her father lost control and smashed her so hard that it stopped her tiny heart from beating. When she was rushed to the hospital she had permanent brain damage and facial fractures. Imagine this site in front of your disbelieving eyes. At the age of 8 months old this little girl never had a chance to live, and now her life is over by the strike of a hand! What upset me even more than this hideous act of a father, was the interview with the neighbor. She did not want to show her face (no wonder) but she talked about how things over at this home were odd and unsettled. She went on to say that she felt something bad was happening there but never thought to report it! I was instantly sick to my stomach hearing her words. 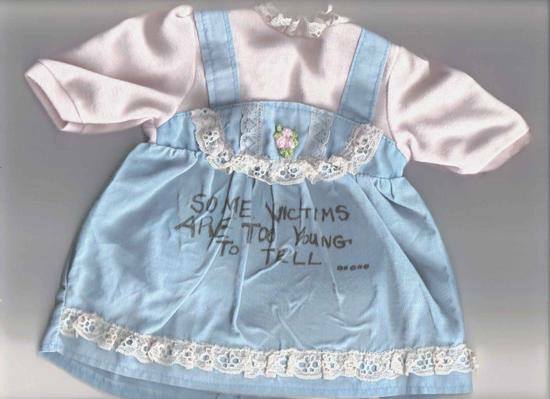 How could you turn a blind eye when you know a young child is in the home? She had no problem being interviewed by a news reporter stating her case of what she felt was unusual in the home but could not pick up a phone prior to help this child in need. Her one phone call could have been the life line that this baby needed to survive. This story of neighbors, caregivers and others in the community not stepping up is more common then you might think! It is too common and that must change. We have the responsibility to children to help keep them safe. If you see something that is not right, ASK THE QUESTIONS. As a child I lived in a home filled with dysfunction and abuse. My family knew it, my neighbors knew it, as well as my doctor and educators in school. NOBODY ASKED THE QUESTIONS as I continued to struggle through my silent misery and pain. The signs were all there, but the silent struggle continued. YES, I did make it out alive, but I was left with such internal scars that it took me years to verbalize, and more years to work through it all to heal. I went through an emotional hell, saving myself from a past that swallowed me up whole. This is not how it should be!! Children have the right to a safe, nurturing and loving home. We have the moral duty to make sure that happens. One way we can start is by being more aware of our surroundings. This world has gotten so busy that nobody wants to stop for a moment to see the reality of what could be going on behind closed doors. Children are dying every single day in this country because of silence and that needs to change. We must raise our voices and not be afraid to push the envelope. If something seems suspicious step up! If a child in your neighborhood, school, or community seems detached, distant, lost check in with them. YOU will see it in their eyes if something is wrong. Ask the Questions. KNOCK KNOCK – WHO IS THERE???? WHO WILL HELP THE CHILD??? I ask you to really thing about what I am saying, and as you make your way out that door in the morning you put on a fresh sent of lens and be more aware of what is happening in your neighborhood and community. You will never know what someone may be going through if you are looking the other way. Our children deserve better. They deserve a chance to really live! Open your eyes! Let’s embrace the journey together as we help those in need.